A Slovenian woman who lived 47 years without any earthly food and bore the marks of Christ’s wounds, making reparation to God for all the affronts to His Love. 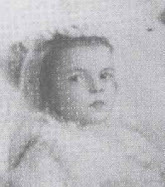 Magdalena Gornik was born in 1835 into a poor farm family in the village of Janeži, part of the Slovenian parish of Gora near Sodražica, which is about 50 kilometers south of Ljubljana, the capitol of the country. Her parents were honest and devout Christians, who brought up their seven children in that spirit. Magdalena was above all a normal farm girl, helping her parents with farm work and enjoying the company of her friends, being affectionate and friendly. In the spring of 1847, when Magdalena was twelve years old, God’s providence intervened into her life in a special way when the Blessed Mother appeared to Magdalena as she walked to a field to do a chore for her mother. Our Lady appeared to her as a peasant woman, asking her to whom she offered her work and if she loved Jesus. Magdalena answered that she offered her work to Jesus and that Jesus knows best if she loves Him. She did not recognize the woman, thinking the lady was a simple farm woman, as the she was clothed in attire typical for the area. The woman then presented herself as the Mother of Jesus and of all people. She indicated her intention to teach Magdalena the reasons for work and to whom to offer her work. She told Magdalena to love her Son, Jesus, more and more strongly. She taught Magdalena that she should thank God for all of His kindness and offer all of her work to Him. This vision touched Magdalena's heart very deeply. She thus prayed even more fervently and attentively prepared for her First Holy Communion. Magdalena received First Holy Communion that year and was blessed with a locution from Christ, Who told her she was not to tell others about the intense love for Holy Communion that she had been given. Alone she grew further in piety, her heart becoming more and more inflamed with love for Jesus at every holy Mass. She began attending Sunday school but not for long. 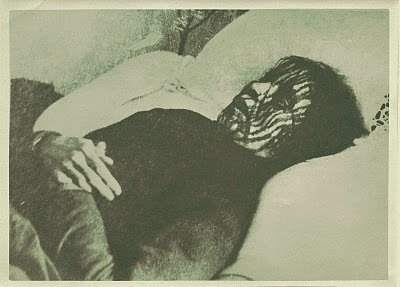 During Advent of 1847, Magdalena had become physically very ill. By January 1848 her health condition had worsened to the point of needing to remain in bed. She bore terrible pain with unusual patience - no sighs or complaints, and no other sign of unwillingness being observed in her. No medicine of any kind helped her. The pain gradually increased, becoming its worst in August 1848. Her legs were paralyzed. On August 2, 1848, Magdalena received her second vision of the Blessed Mother upon awakening from fainting due to her physical pain. She saw the Blessed Mother’s gaze upon her as pale and sad but also friendly. Our Lady told her that when she must endure something she should bear it patiently, offer all pain to God, and that at such times she should think of Jesus’ suffering. She should tenaciously trust in Jesus - from Him she would receive all. With this appearance of the Mother of God, Magdalena was almost completely healed; only her legs remained paralyzed. From August 24 forward, she experienced ecstasies and visions on a regular basis until her death in 1896. 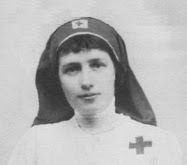 Her spiritual mission commenced: to suffer for the expiation of sin and to call for atonement. 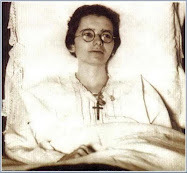 From September 25 until her death, Magdalena no longer consumed any earthly food, except for drops of water. 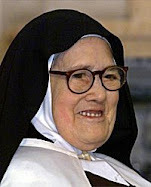 Her food was only the Holy Eucharist and a non-ordinary mystical food she received during ecstasy. 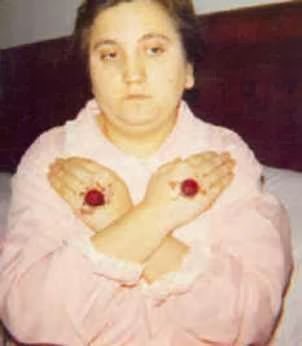 Then on the Wednesday before Advent in 1848, Magdalena received the stigmata. Between 1848 and 1853 a number of mystical phenomena accompanied Magdalena’s ecstasies and visions, confirming that God was speaking through her. While in ecstasy Magdalena exhorted and invited all to penance, conversion, and reparation for offenses and deficiencies in demonstration of love for God. She also spoke about God’s chastisement if conversion did not take place. Further confirmation was her statements on the primary goal of our earthly life: the redemption of each individual and with this the vision of and glorification of God. 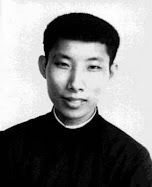 During this period, secular authorities and some priests sullied her name and persecuted her through letters to the bishop and newspaper articles. The Church or rather the contemporaneous Ljubljana Bishop Wolf defended her against secular authorities, being convinced of her innocence (that she was not an imposter) and her piety. 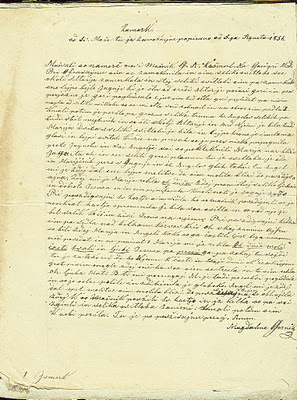 From March 2 to April 11, 1852, a Church investigation at the Sodražica parish took place. 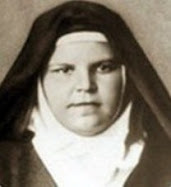 The Sodražica pastor Lesjak and other nearby priests who had been in shock and disbelief regarding Magdalena became convinced of the authenticity of the mystical phenomena and that Magdalena was not an imposter. On April 9, 1855, God healed Magdalena’s legs after 7 years, and she walked again. However, in a vision Jesus told her that, despite this healing, she would not be without suffering in this world. 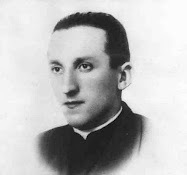 In 1867 the pastor of the parish Fara near Bloke, Janez Kaplenek, accepted Magdalena and two of her sisters (Apolonia and Maria) to work in the rectory. Magdalena lived there until Fr. Kaplenek’s death in 1893. During this period, Magdalena’s ecstasies, visions, inedia, and other mystical phenomena continued. The secular authorities, who again pursued her the first 6 years of her life in Bloke, caused her a great deal of suffering. In addition, slanderous tongues took offense at her unusual physical life and mystical phenomena, putting great moral suffering upon her. At the same time, many educated people, among them important Church and secular dignitaries, witnessed her ecstasies and her mystical sharing in the experience of Christ’s suffering, especially during Holy Week. 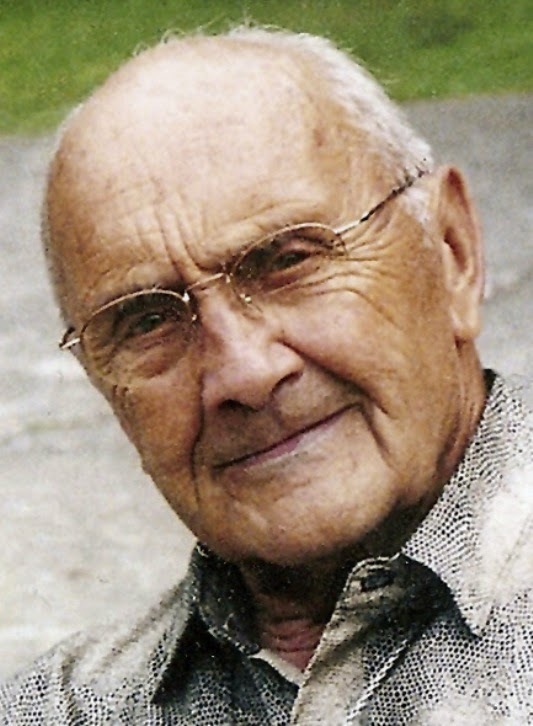 In Bloke, Dr. Francis Lampe, an important Slovenian philosopher, theologian, writer, and editor, established contact with her and attended to her nearly to the end of her life. 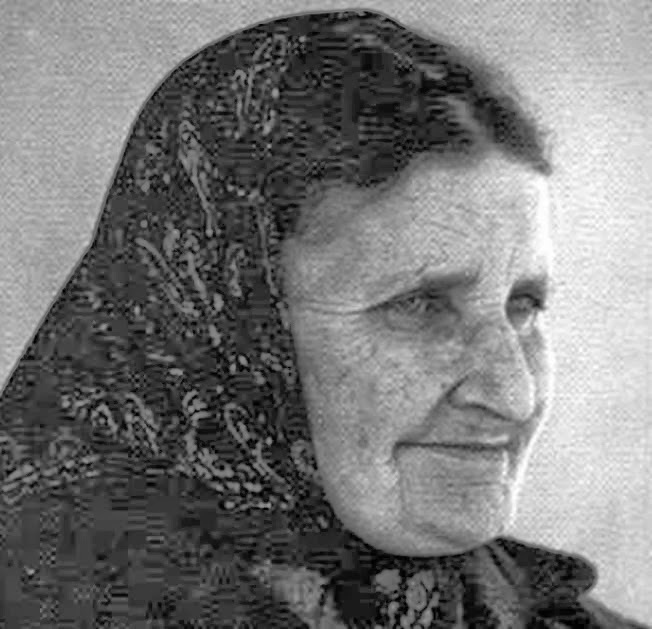 Magdalena and her sisters moved back to Gora near Sodražica after the death of Fr. Kaplenek. They lived together in the village of Petrinci, where she continued to live without food, receiving only the Holy Eucharist and non-ordinary mystical food, and to share in the experience of Christ’s suffering. As had long been the case, many people with various wishes and intentions visited her. Over the years while in ecstasy Magdalena was repeatedly told by the Blessed Mother and Jesus that the spiritual gifts she experienced were given by God for the conversion of souls and reparation for sins. Magdalena was told that without this conversion, people would endure great suffering. She was further instructed to relate this warning and invitation to others. 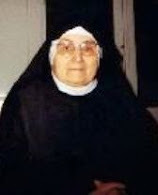 During her lifetime, Magdalena was active in her community and in the Church. 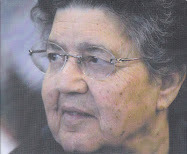 She was a teacher in the community school and was active socially as a friend and spiritual counselor. She donated money given to her to a school for poor children. On February 23, 1896, the first Sunday of Lent, Magdalena passed away at 60 years of age from what was thought to be tuberculosis. She died in the evening after answering her sisters’ question about staying with her, saying they did not have to stay but rather should go to rest. She told them that Jesus and Mary would take care of her. 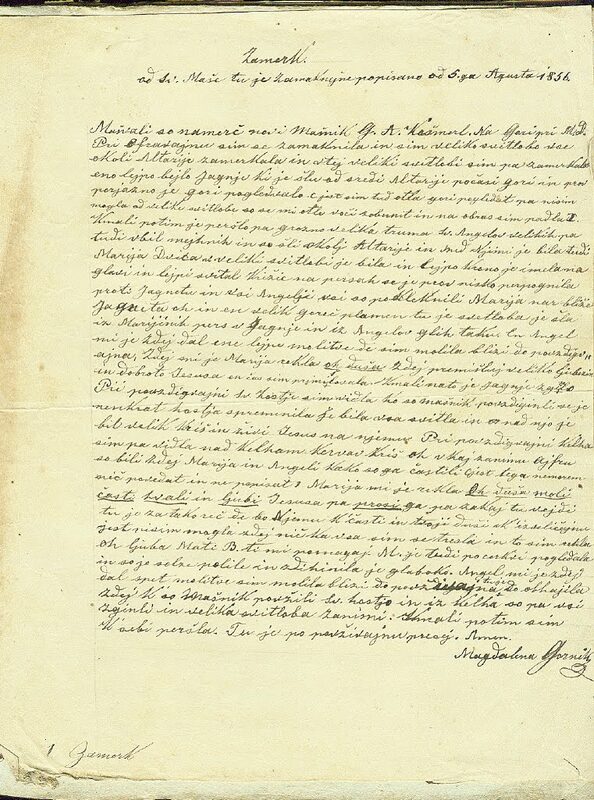 The day of her funeral, February 26, Magdalena’s reassurance to her sister came to fruition: there was such an unusually heavy snowfall that only a few local people were able to be present. Magdalena was buried at the church cemetery of Gora in the village of Petrinci in the grave of her parents. At the present time, there is a revival of her memory in Slovenia, with pilgrims going to her grave and praying for her intercession. Thus far, there have been reports of families resolving their brokenness, healing of physical ailments, recovery from alcoholism, and people obtaining needed work and school success. 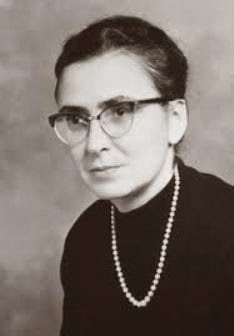 This revival is consistent with a revelation by Stanislav Lenič, Bishop of the Ljubljana diocese from 1968 to 1991, who stated his understanding from others that Magdalena had predicted that 6 generations after her death miracles would occur through her intercession. Anton Stres, the current Bishop of Ljubljana, has given permission to begin preparation for the possibility of opening the process of investigation for recognition of her sanctity. In addition, the Slovenian Bishops’ Conference has given their recommendation that the life of Magdalena become known, which concretely at present is in the form of the book in the Slovenian language: "Magdalena Gornik". The book is presently being translated into English. Here we enumerate and describe only some of the mystical phenomena from her life. All that is mentioned here is historically attested to in archival documents that concern her life. 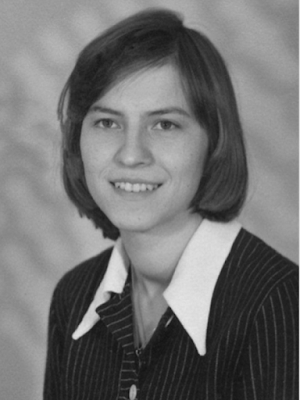 Most of the archival material about Magdalena Gornik may be found in the Archdiocesan Archives in Ljubljana. Magdalena’s first ecstasy was as early as her thirteenth year (August 11, 1848). From August 24, 1848, until her death on February 23, 1896, she was in ecstasy every evening. At times she was in ecstasy several times a day. Her ecstasy on Fridays, which lasted 3 hours, and those during Holy Week were particularly special. In addition, Magdalena was sometimes in ecstasy several days, even the entire week. Actually, the duration of the ecstasy depended on the feast day or sacredness of the time, i.e., the ecstasy coincided in spirit with the Church year. Magdalena was in ecstasy at every Mass. While in ecstasy Magdalena knew when a priest carrying the Holy Eucharist was near her, as she would turn in that direction and kneel even though she did not visually see the priest. During that time she continually gave homage to the Holy Body of Christ. Magdalena was able to recount all that happened in her ecstasies. In fact, she could clearly distinguish between that of which she was aware prior to being in ecstasy and that while being in ecstasy. Each of her ecstasies also involved visions. During ecstasy her body itself was not sensitive to any external stimulation. While in ecstasy she frequently participated in mystical suffering; even during the last years of her life she particularly suffered near the end of each ecstasy. At that time the stigmata would also open. 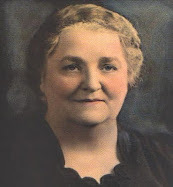 The content of Magdalena’s visions was very diverse. It corresponded to the seasons of the Church year. Magdalena had visions all of her life, including the day before her death. In the visions she saw and spoke to angels, the Virgin Mary, the Blessed Trinity, and some of the Saints. Visions of the angels were almost always connected to a vision of the Virgin Mary or Blessed Trinity. The angels frequently gave Magdalena various instructions, especially those dealing with the veneration of Mary and worship of God, and they often wept over non-believers. The Virgin Mary spoke to her many times about humility, obedience, and the necessity of imploring the Holy Spirit for enlightenment and for courage in bearing suffering with joy and patience. She often invited Magdalena to meditate on the suffering and death of Jesus. Magdalena frequently saw Mary as the imploring intercessor with her own Son for mankind. Very frequently, particularly on Fridays and during lent, Magdalena was present through visions at Jesus' suffering as the evangelists had described it. Particularly in the visions during lent she was present at and fully participating in Jesus' Last Supper as well as present at His suffering and death. At Easter she witnessed Jesus' resurrection and later also His ascension into heaven. 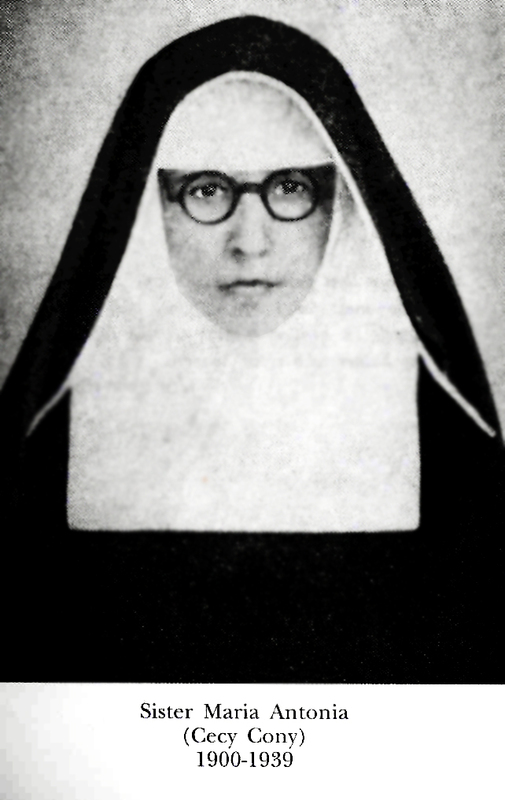 When she was at home, she often attended holy Mass at the local church by way of a vision. Magdalena received sacramental Communion, i.e., Holy Communion as all believers can receive at Mass, as well as mystical Communion, such as reported to have been received by only some Saints. She received sacramental Communion ordinarily from the local priest. Sometimes he brought her Holy Communion at home, or she received it at holy Mass. Mystical Communion was something particularly special. She received it only during ecstasy. At that time Jesus Himself would give it to her, or Saints who had been priests, or angels. 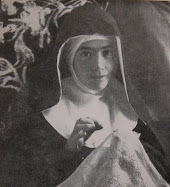 More than a thousand people saw how, after she prepared herself specially for this purpose, Magdalena suddenly found the Sacred Host in her mouth without any priestly intervention, and then soon afterwards they still saw a special chalice and heard Magdalena's drinking of the Holy Savior's Blood. 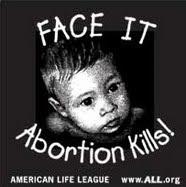 Many priests were also convinced of this as they witnessed it with their own eyes. Magdalena always gave thanks for the reception of Holy Communion. Sometimes she would then further exhort those present to penance. Frequently the content of the entire ecstasy was only the preparation and thanksgiving for the reception of mystical Communion. 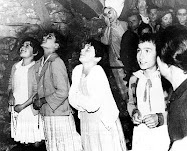 The phenomena of levitating in the air occurred many times with Magdalena when she very strongly wished to receive Holy Communion. At that time, because of a strong yearning in meeting the living Jesus her body raised up into the air. She also levitated other times such as when the priest did a blessing with the Blessed Sacrament as well as during her mystical death on Good Friday and her mystical resurrection on Easter morning. Magdalena received the marks of Jesus' wounds as a thirteen-year-old girl. She bore visible wounds on the hands, feet, and side for seven years, after which only the wound on the side remained open to the end of her life. 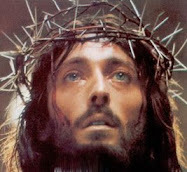 However, when she beheld the crown of thorns or other suffering of the Savior in a vision, the wounds of the thorns would open on her forehead. Blood would run down her face in streams. In addition, particularly during Holy Week when she accompanied Jesus in His suffering, wounds of His scourging would also open over her body to the point that blood drenched all of her clothes. The stigmata caused her very great suffering, but Magdalena never complained about the pain. She completely submitted to God’s will and offered this suffering to Him. Medical doctors investigated the stigmata, and priests observed them; no one could ascertain any deception or any kind of hysteria. 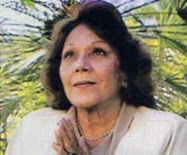 From her thirteenth year until her death, Magdalena ate no earthly food. Thus for forty-seven years she lived without any food. She could not bear the odor of common food. Her food was only the Holy Eucharist and some type of heavenly food, which she ate only while she was in ecstasy. Despite not eating food she performed her daily obligations with ease. 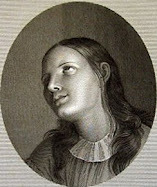 While in the state of ecstasy, Magdalena received several objects that were seen not only by her but also by other people. One of these was an uncommon or heavenly food, which Magdalena ate almost every day at the end of her ecstasy. 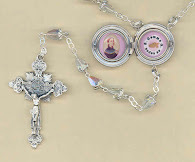 Most often she received it during a vision of the Virgin Mary or angels. Eyewitnesses reported that it was food in the shape of a small particle or granule; it was often of various colors. In a vision Magdalena was told that receiving this food was above all in order for people to believe that God spoke through her. Particularly interesting was the small cross Magdalena received while in ecstasy, which remained on her chest even when she went from ecstasy back to the ordinary state. This small cross stayed on her body without any chain or other fastener, and it never fell onto the floor. Two priests touched and kissed the cross, one of whom described this event and the cross itself in a letter to his bishop. Magdalena received it during the evening ecstasy, after which it remained with her overnight, but during her ordinary state in the morning it would disappear; she then would receive it again during the evening ecstasy. While in ecstasy Magdalena understood and spoke in languages that she had never studied or heard before. She had command of Greek, Caldean, Hebrew…. Magdalena also had the gift of reading souls, i.e., comprehending the internal state of souls. She knew the intentions with which a person visited her, or if requested she opened to him the internal state of his soul. Upon their request, she revealed to many priests their internal state. -Magdalena Gornik, pray for us! Thanks for your kind comments. I am really glad to hear that you are enjoying the website. sadly, the heavenly food is even free, yet a lot of people are not partaking in it, or even give proper respects. Thank you. Her story is wonderful. Where can we find more information about her ?